InfoSAWIT, JAKARTA –On 26 October, 7 Plantation Agency from the districts met General Director of Plantation. They were Plantation Agency District of Paser, East Kalimantan Province; District of Sintang, West Kalimantan Province;District of Sanggau,West Kalimantan Province;District of Rokan Hulu Riau, District of Siak, Riau Province;District of Musi Banyuasin, South Sumatera Province; andDistrict of Labuan Batu Utara, North Sumatera Province. It was proposed by Palm Oil Smallholders Unioin or Serikat Petani Kelapa Sawit (SPKS). The meeting was directly led by Ir. Irmijati Rachmi Nurbahar, M.Sc, the Director of Tanaman Tahunan dan Penyegar, accompanied by Chairman of SPKS. The meeting discussed the issues in plantations in many regions and to get the same solution. SPKS told that there was no synergy between the national and regional government. The information and solution is never exchanged well. 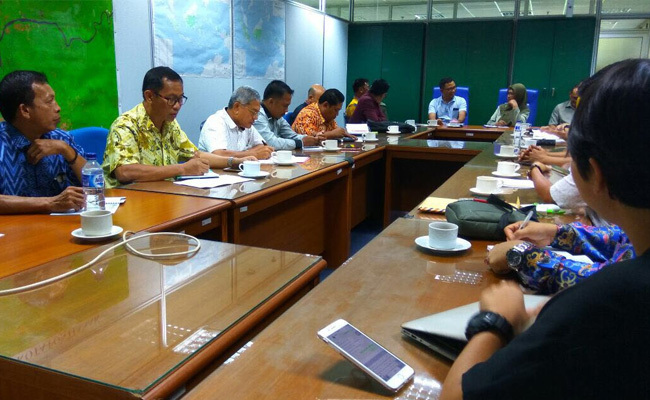 The meeting would be continued to discuss some things, such as, the first, the replanting program – it needs technical guidance from General Director of Plantation and could be described to the regions and should be in short process.